Participation with prior registration only. The development of (social) robots reflects engineers’ understanding of societal arenas as well as the social actors primarily responsible for structuring and shaping these arenas. On these grounds, the design of (social) robots is contingent upon the role model of the persons performing the task the robot is supposed to take over or help with through cooperation. It is, therefore, of paramount importance to reflect these understandings and where necessary to replace stereotypes with more sophisticated views. 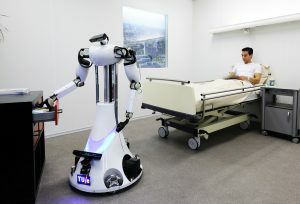 To contribute in this respect, the workshop will address key factors regarding the development of (social) robots with the purpose to be integrated in health care scenarios: (a) What are the benefits that could be expected particularly within the scope of societies endangered by a strong demographic shift (e.g. Japan and Germany)? (b) What are the common concerns that are raised by the persons working in the field and the target user, and how should academic researcher as well as employees of R&D departments reflect and take these concerns into consideration? 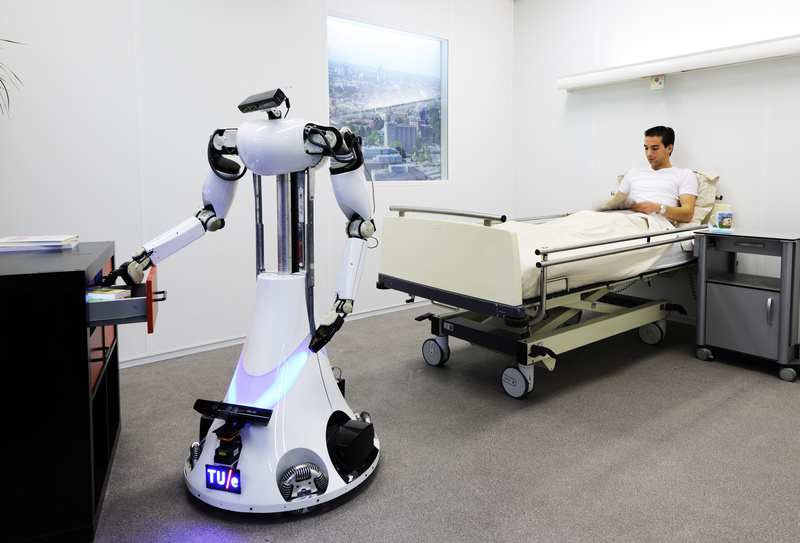 (c) Should there be limits regarding the use of robots in specific scenarios and/or persons respectively patients? Finally, how could criteria to determine these limits look like and are they (always) transcultural? Do social robots qualify for elder- and childcare? In the development of social robots, their ability to be sensitive and/or sensible is of paramount importance. An autoethnographic approach was taken within the setting of a fabrication laboratory dedicated to the study of human-robot interaction, and focus group interviews were conducted with both engineers and (the presumed) target groups for social robots. The data shows a clear distinction between the concepts of being sensitive and being sensible. To work out the striking difference between sensible (humans) and sensitive (robots), it is helpful to focus three possible domains of social robots: housework, elderly care and childcare. The analysis of the data shows a clear distinction between homework, elderly care and childcare for both groups, engineers and target users. In respect to the development of social robots for childcare, the assertion of gender stereotypes is very evident, especially towards the role of motherhood. The analysis of the term “being sensible” is also very interesting. It was often used to engender a topography that defined legitimate social actors as humans, as opposed to (social) robots. To be “sensitive” is attributed to both an organic, living entity (childcare) and a highly functional robot (homework as well as elderly care). Being sensible, however, is restricted to humans as “animate being”, rather than to be linked to the assumption of “having a soul”. These findings are on the one hand supporting Giorgio Agamben’s differentiation of “bios” and “zoë” as well as biopolitical theories in general and on the other hand also pointing towards the peculiarity of new interactive technologies – as well as such with the potential of increasing the rate of cyborgization – endangering humans’ status in modern societies as the sole social actors. Do social robots transform imitative community? We had proposed the V-process on the social system, service system, and robot system, which contain the design and review process. In the design process on the robot, at first, we have to design the “social system” , which include the human and society. In other words, we have to change the common sense and life style to apply to use the robot system. In the review process, the safety , clinical and ethical review, for the robot will be required. We briefly review the V-process and show some example on the health care application. New interactive technologies advance the interactive unity of human and machine. Regarding the social implementation of such technologies, R&D faces the question how to design the interactive unity in order to secure human empowerment. One central concern here is the (alleged) contradiction between human autonomy and automatization. The common and, in some cases, surely justified fear is that machines undermine human agency. However, this does not necessarily need to be the case. The “empowerment loop” specifies a principle of the interactive unity, i.e. asymmetric reciprocity (heterarchy) between human and machine. This model explains the cognitive architecture underlying robot-assisted voluntary initation provided by HAL. Based on an interview study, two modes of robot-assisted initiation were identified. These modes inform the future design of more individualized and need/based assistance. In sum, human autonomy functions as a necessary design criterion for HRI. The results show on the level of the technological implementation how human autonomy can be supported by machine automatization.